We are excited to be able to celebrate National Ag Week with a social and benefit! You’re invited on March 19, 2013 for a social held at the Nebraska Club, located on the 20th floor of the U.S> Bank building in the heart of downtown Lincoln. Parking can be found in the meters or directly across the street in the Cornhusker Square Garage (entrance on L Street in between 12th & 13th streets). This event is sponsored by the University of Nebraska Foundation (thanks to Ann Bruntz!) from 4:30 pm-6:30 pm. 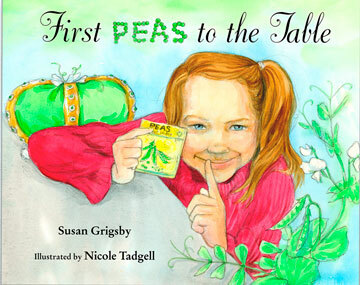 The $10 donation at the door which will be used to purchase the 2012 Nebraska Farm Bureau Federation Children’s Agriculture Book of the Year, “First Peas to the Table” by Susan Grigsby for LPS school libraries. Please RSVP for this event by Friday, March 15 HERE.